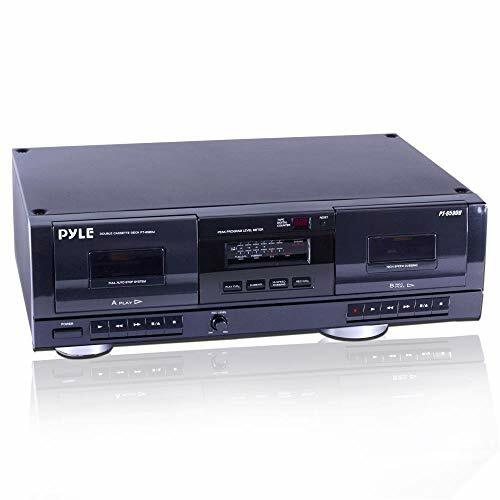 DUAL SPEED DUBBING: The dual cassette tape deck provides normal and high speed audio cassette dubbing. 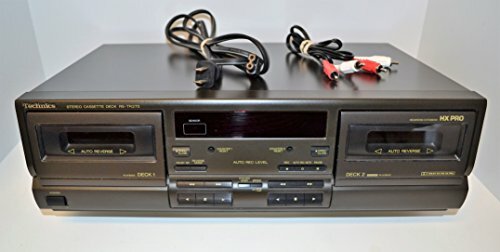 MORE CONTROL OVER PRODUCTION: The cassette deck includes a 3 digit tape counter, CrO2 tape selector, and auto tape selector. It provides excellent recording level control for increased production level. The auto stop function provides further control over the end result. SEAMLESS INTERFACE CONNECTIONS: The dual cassette deck provides a digital link interface for connecting to the PT600A amplifier. Amplifier not included. Included are RCA line inputs and outputs. SUPPRESS OUTSIDE NOISE: Enjoy dynamic noise reduction and control over record and play level meters. Dual cassette decks for REC/PLAY (on both decks) with independent mechanisms. Noise reduction system suppresses hiss during playback (equivalent to Dolby B). Mic input with mic mixing for karaoke and announcement applications. One-touch dubbing, 12% pitch control and A-B repeat. Parallel Recording for recording to two tapes at the same time. USB output for digital recording on PC/Mac at CD-quality (48kHz/16-bit PCM). Normal (Type I) and Chrome (Type II) tapes REC/PLAY (auto detect). Metal (Type IV) tape Play (auto detect). REC MUTE creates four second silences with one touch, or silences of other lengths as desired. Timer REC/Play ready *1. Four-digit digital tape counters. RTZ (Return to Zero) function for one-touch return to the tape counter "0000" position. Repeat play (playback stops after a maximum of 20 repetitions). 12% pitch control *2. Dimmable fluorescent display with level meters. RCA analogue input jacks. 6.3mm (1/4") stereo headphone output jack. Remote control included. RoHS compliant. Dual cassette decks for REC/PLAY (on both decks) with independent mechanisms. Noise reduction system suppresses hiss during playback (equivalent to Dolby B). Mic input with mic mixing for karaoke and announcement applications. One-touch dubbing, 12% pitch control and A-B repeat. Parallel Recording for recording to two tapes at the same time. USB output for digital recording on PC/Mac at CD-quality (48kHz/16-bit PCM). Normal (Type I) and Chrome (Type II) tapes REC/PLAY (auto detect). Metal (Type IV) tape Play (auto detect). REC MUTE creates four second silences with one touch, or silences of other lengths as desired. Timer REC/Play ready *1. Four-digit digital tape counters. RTZ (Return to Zero) function for one-touch return to the tape counter 0000 position. Repeat play (playback stops after a maximum of 20 repetitions). 12% pitch control *2. Dimmable fluorescent display with level meters. RCA analogue input jacks. 6.3mm (1/4) stereo headphone output jack. Remote control included. RoHS compliant. 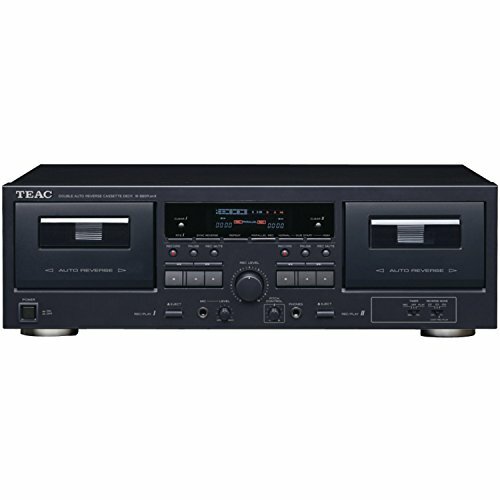 Drawing on TEAC's proud heritage in creating world class tape recorders, an authentic double cassette deck for the modern day... The W-1200 is a double cassette deck featuring two, one-way cassette decks, mic mixing, a USB digital output and other versatile recording features. In recent times, cassette tapes have fascinated those whom have never used them, thanks to their warm, distinctly analogue sound, not to mention the ease of recording and the ability to create 'mix-tapes'. Furthermore, the W-1200 can deliver digital audio at CD-quality (up to 48kHz/16-bit PCM) to a computer via a USB cable, allowing digital archiving of your cassette tape library. Once you've digitised them on a computer, you're able to enjoy your old tape-based music library anytime anywhere via a network player, DAP, smartphone or even in your car. 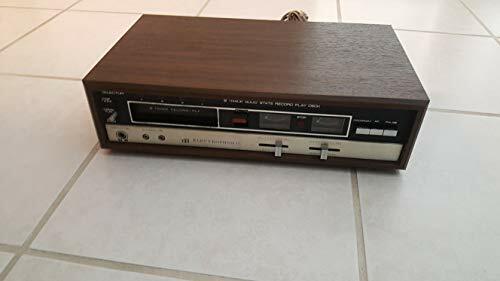 Kenwood Model Number 103CT Double Cassette Deck. 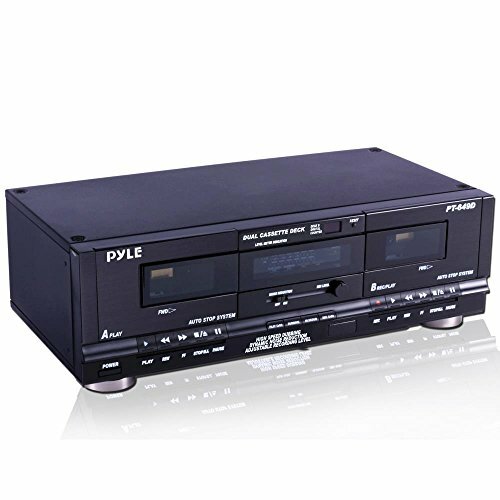 The Pioneer CT-W530R is loaded with all the features you need in a Dual Stereo Cassette Deck Record from the radio, record form one deck to another with synchro mode, features a timer counter and many other features including a front headphone jack to plug in your favorite stereo headphones. Very RARE item in beautiful condition. Looks and plays like new. 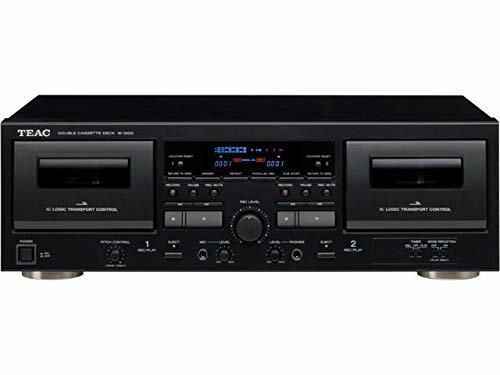 Sony dual stereo cassette deck with auto reverse. sony Stereo Cassette Deck TC-W345 DUAL CASSETTE dolby. Features like Dolby B and C noise reduction, RMS track programming, and CD synchro-record allow optimum versatility for home recording use. Cassette deck, user's manual, and pair of stereo analog (left/right) RCA interconnects (one each for playback and record). LinaLife is committed to providing each customer with the highest standard of customer service. 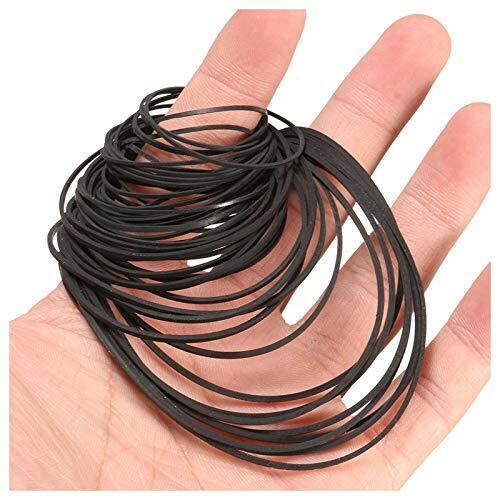 Specification: Generic Tape Drives belt Steady with no vibrato Widely used in Recorders, CD-ROM video machines, Walkman, DVD drive. 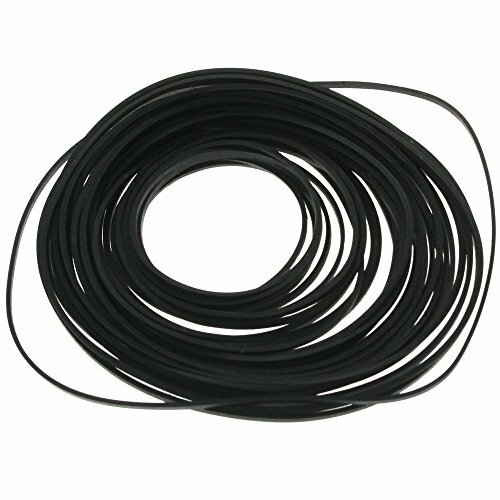 General purpose repair / replacement rubber belt It is a set product of multiple sizes. 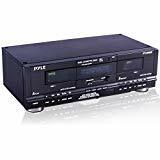 For repair of radio cassette, audio equipment, walkman, open reel, CD, MD, VHS deck, video, laser disc player etc. Package includes: 1 bag Cassette Tape Belt Guarantees: LinaLife guarantees all buyers 100% satisfaction. 100% Satisfaction Guarantee for risk-free shopping.60 days money back guarantee for any reason If you have any problems about our products, please feel free to contact us. We will try our best to help you with your problems. The thickness of the product is around 1.1 - 1.6 mm. Vintage Electrophonic TRD-53 Solid State 8-Track Record Player Deck. Vintage Electrophonic solid state 8-track recorder/player.